The first interim report from the inspectors appointed by the High Court to investigate affairs at Independent News & Media has been given to the Court today. The report was presented today to the president of the High Court, Mr Justice Peter Kelly. He had appointed the two inspectors - barrister Sean Gillane SC and UK-based solicitor and corporate governance expert Richard Fleck - last September. Mr Gillane today sought and received the necessary permission to provide the report to the court. The court heard that a further report may be delivered in October but a date for that will be fixed later. Mr Justice Kelly noted today that the report had been delivered on time. Neil Steen SC, for the Director of Corporate Enforcement Ian Drennan, sought a copy of the report and the judge said the DCE had a statutory entitlement to that and it would be provided to him later today. The judge also said it was for the High Court to decide whether to give others a copy of the report. The judge said he would fix Friday 3 May for hearing anything the ODCE has to say relating to the report and regarding any parties to whom the report should be furnished. He would also hear applications from others for the report, he added. 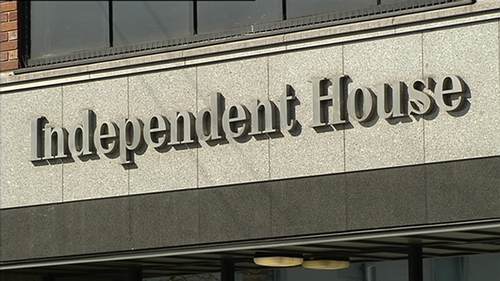 Mr Drennan had sought the inspectors as a result of his concerns over a number of matters at the company, including an alleged data breach at INM in 2014. The ODCE had applied to the High Court in 2018 after a year long investigation into matters raised in the protected disclosures made in 2016 and 2017 by former INM CEO Robert Pitt and INM's former chief financial officer Ryan Preston. As a result of that investigation, the ODCE raised concerns about issues including an alleged data breach at INM in 2014. That involved data being exported from the jurisdiction and interrogated by third parties in what then INM chairman Leslie Buckley said was a cost-cutting exercise called Operation Quantum. The inspectors' terms of reference entitle them to investigate most of the issues raised by the ODCE, including the adequacy of the INM board's response to the protected disclosures. In his judgment last September appointing the inspectors, Mr Justice Kelly said what was alleged was "very serious indeed". He said there was evidence, including the alleged interrogation of data of journalists and others, which suggested that INM's affairs were being conducted for an unlawful purpose. He was also concerned about the circumstances concerning the proposed acquisition by INM of Newstalk Radio from a company of INM's largest shareholder, Denis O'Brien, and the proposed payment by INM of a €1m "success fee" to another company of Mr O'Brien's. He was satisfied many questions "remain to be answered" about "disquieting" issues raised by the ODCE, including the alleged removal from INM, and interrogation of the data of 19 people. These 19 included journalists, former INM employees and executives and two senior counsel for the Moriarty Tribunal. The appointment was in the public interest in the context of the regulation of public companies, the nature of INM's business and the importance of a free press, he said.